Matt Kuchar plays on the US PGA Tour with four wins to his name. He looked like being one of the rising stars of the game in the early 2000’s before experiencing a slump. He worked hard to rebuild his swing and has been showing improvement from 2008 onwards. He is now regarded as one of the most consistent performers on the tour with thirty top-ten finishes between 2009-2012. He topped the PGA’s money list in 2010 and recorded his most significant victory in The Players Championship in May 2012. Kuchar attended Georgia Tech in Atlanta and was a two-time first-team All-American on the golf team. In 1997, he won the U.S. Amateur, receiving the prestigious Haskins Award the following year as the nation's top collegiate golfer. He was also the low amateur at both The Masters and U.S. Open, turning professional in 2000. Kuchar enjoyed his first win on the PGA Tour at the 2002 Honda Classic, winning by two strokes from Brad Faxon and Joey Sindelar. Surprisingly, this proved to be his only victory on tour for a considerable time. In 2005, he fell to a lowly 159th on the money list and failed to earn his tour card at qualifying school. This resulted in a return to the Nationwide Tour in 2006, winning the Henrico County Open and finishing tenth on the money list to reclaim his PGA Tour card for 2007. It was 2009 before Kuchar was able to celebrate his second PGA Tour win at the Turning Stone Resort Championship after a playoff over Vaughn Taylor. In 2010, Kuchar earned his place in the U.S. Ryder Cup team through his sheer consistency. After ten top-ten finishes, Kuchar returned to winning ways at The Barclays at the Ridgewood Country Club in New Jersey. Once again, Kuchar emerged victorious from a playoff, this time against Martin Laird. Kuchar began 2011 in fine form with three consecutive top-10 finishes and later reached the semi-finals of the WGC-Accenture Match Play Championship, losing 6&5 to eventual champion Luke Donald. Kuchar defeated Bubba Watson, 2&1 in the third place playoff. In June, Kuchar finished tied for second in The Memorial Tournament at Muirfield Village behind Steve Stricker, giving him an eighth top-10 finish of the season and lifting him to a career-high of six in the world rankings. 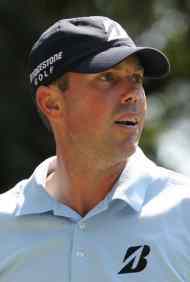 Kuchar also finished second to Dustin Johnson at The Barclays, an event shortened to 54 holes due to Hurricane Irene. Kuchar produced a personal best performance in a major championship when finishing in a tie for third at the 2012 US Masters. He was joint-leader on the back nine but his hopes were dashed with a bogey at the 16th, eventually finished two strokes adrift of Bubba Watson and Louis Oosthuizen. Kuchar’s return to the World’s elite was confirmed with victory in The Players Championship at TPC Sawgrass, Florida in May 2012. A final round of 70 gave him a two-stroke victory over Rickie Fowler, Martin Laird, Ben Curtis, and Zach Johnson. The win pushed Kuchar to a new career-best of five in the Official World Rankings.